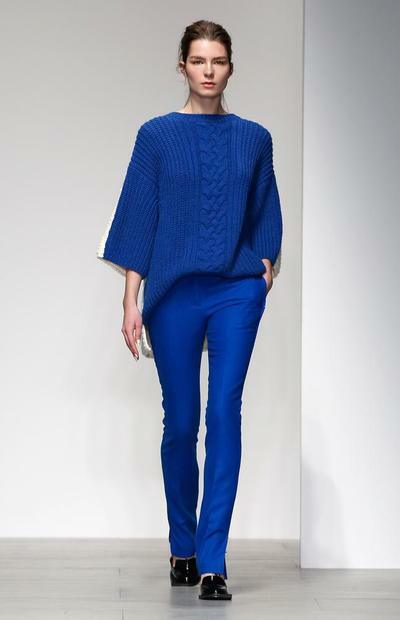 Blue is the new black according to New York and London Fashion Week, where all shades of blue have graced catwalks in recent months. Electric, royal, and navy's have all made appearances, which is great news considering shades of blue suit most complexions. Although the prediction for the 'must have' shade points toward 'dazzling blue' - as announced as the 2014 colour of the year according to Pantone. 'Dazzling blue' might be a brighter colour than some might pick for their wardrobe, but it is certainly an easier shade to wear than neon brights as seen in recent years. What do you think? Is blue the right colour for you? I love blue clothes, it certainly is for me!